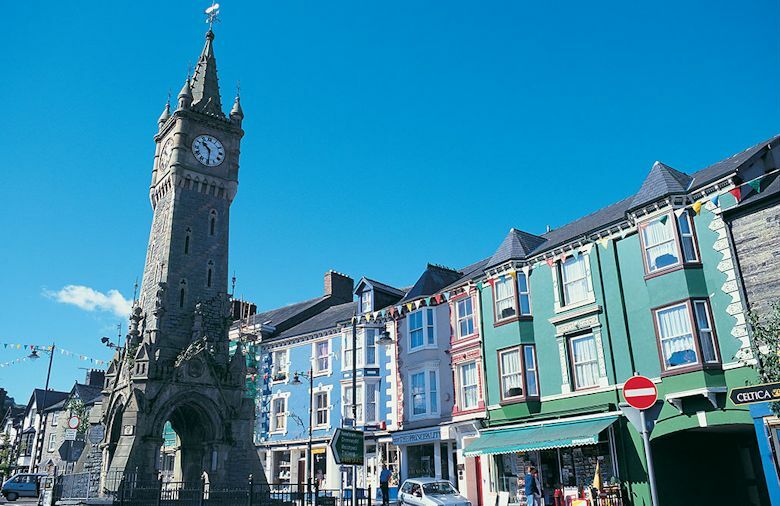 Machynlleth is a popular market town at the head of the beautiful Dyfi estuary in Mid Wales and has a population of around 2,000. It has an eclectic mix of facilities for visitors, including arts and crafts, a centre for of renewable energy, mountain bike trails, wonderful scenery, plenty of Welsh history and more. It is an ideal base for exploring the neighbouring countryside – the Dyfi Valley, Snowdonia National Park, Tal-y-Llyn Railway, Clywedog Reservoir, the Vale of Rheidol Railway and Devil's Bridge gorge in the Vale of Rheidol, for example, are all within easy reach of Machynlleth. Considering its size, the town of Machynlleth has a lot of history. It is here that Owain Glyndŵr was crowned Prince of Wales in 1404 in the presence of leaders from Scotland, Spain and France and he established his parliament in the town. The Glyndŵr Festival, celebrating the life of one of Wales' most famous sons, is held during the first week in September each year to commemorate the start of his rebellion in 1400. The town has numerous historic buildings, including the medieval town house known as The Parliament House in Maengwyn Street. This is now an interpretive centre about Owain Glyndŵr. The Royal House is another interesting building – it’s situated at the junction of Garsiwn Lane and Penrallt Street and was built in the 14th century. It is said that Charles I stayed here during the 1640s. 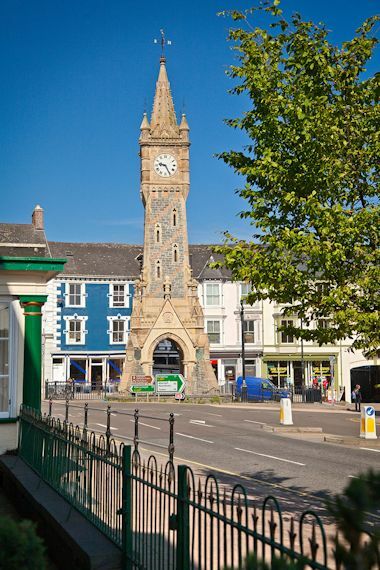 Machynlleth is famously known as the ‘town with the clock’ – it’s a prominent landmark feature in the centre of town from whichever direction you travel! The main street, Maengwyn Street, hosts the Wednesday market, which has been going for 700 years, and visitors will find a broad selection of independent shops, which makes a refreshing change from the typical high street chains found everywhere else. The town is well served by cafes, takeaways and pubs and a decent range of accommodation. The arts are well served in Machynlleth by the Tabernacle, a former Welsh Wesleyan chapel now converted into a multi-arts complex featuring exhibitions, concerts and an annual festival each August featuring musicians from all over the world. The festival is broad in its appeal and the programme typically includes classical, jazz and Welsh music. It also provides events that appeal to children. Machynlleth is the ideal base for exhilarating mountain biking experiences. Waymarked routes of varying length and difficulty take you straight from the centre of town into some great mountain and valley scenery. Rides range from mixed road and valley trails to long forestry climbs, with mountain single-track and rough slate ravine descents. There's something for every level of rider. The Dyfi forest just north of Machynlleth offers excellent forestry free-riding. A nine-hole golf course is located on the outskirts of the town. The course is challenging and is suitable for players at all levels. A short pitch and putt course is also available, made up of three greens, each with three tees, and is ideal for beginners and juniors. 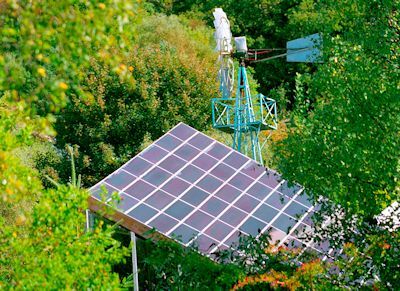 Just 3 miles north of Machynlleth is the Centre for Alternative Technology, which is an education and visitor centre that demonstrates practical solutions for sustainability. It offers a visitor centre which is open 7 days a week, it provides a free information service, it runs residential and one-day courses and provides curriculum-based education to visiting schools, colleges and universities. It also has 7 acres of interactive displays.